Searching for a crossover hit, the team behind classical tenor Andrea Bocelli turned to one of the all-time great rock producers. "The brief," says Bob Ezrin emphatically, "was to create the 'greatest classical album of all time with all-new material'. That's not a trivial goal! I wanted to create a new classical sound, something with a touch of modern music. I called it Classica Nuovo." 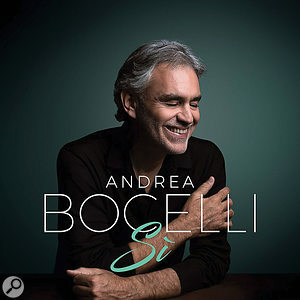 Andrea Bocelli's Si turned out to be both a critical and commercial success, and Bocelli's 10th pop album and 16th overall proved his first number one in both the UK and the US.In these slightly blasé times, the ambition to create a new sound is as laudable as it is risky. 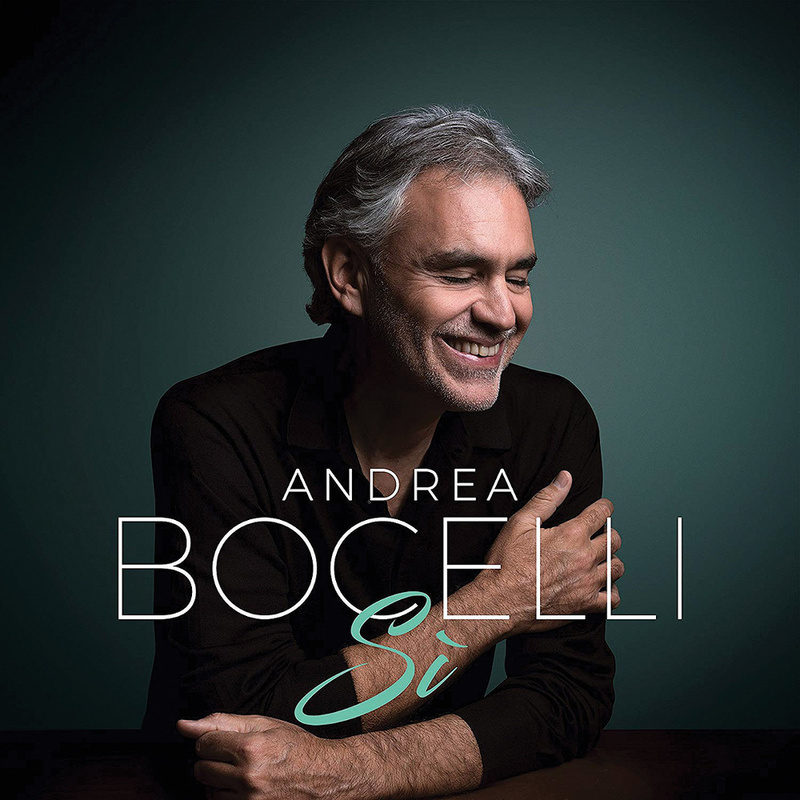 There's the danger that fans may be turned off and critics may hold their noses, but instead, Andrea Bocelli's Si turned out to be both a critical and commercial success, and Bocelli's 10th pop album and 16th overall proved his first number one in both the UK and the US. This was a sweet victory for the 60-year old tenor from Tuscany, as Si was his first album of original material in 14 years, and ambitious in all kinds of different ways. A big-budget operation, it was recorded entirely in 96kHz 'high resolution', and featured collaborations with pop stars such as Ed Sheeran, Dua Lipa and Josh Groban. Moreover, whereas Bocelli's previous pop albums had been produced by adult contemporary music greats like David Foster and Humberto Gatica, the involvement of Ezrin hints at a deliberate change of direction. The Canadian is, of course, best known for producing, and at times co-writing, rock classics. These include Pink Floyd's The Wall, Alice Cooper's Million Dollar Babies, Lou Reed's Berlin, Kiss's Destroyer and Peter Gabriel's first album, to mention but a few. By contrast, Si is mostly an orchestral album, with the odd bit of programming, all of which forms a sophisticated backdrop for Bocelli's voice. 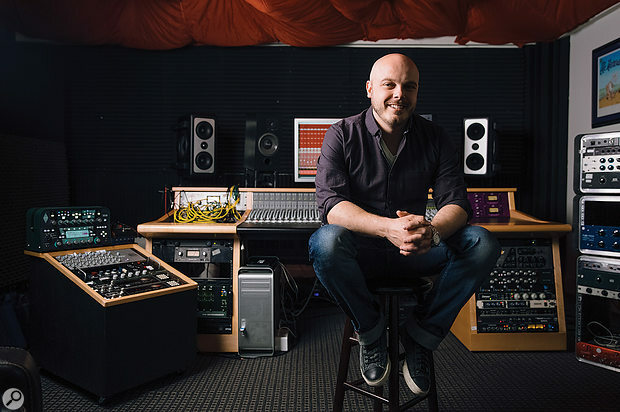 The whole thing is probably about as far as one can get from classic rock in popular music, but according to Ezrin's right-hand man, engineer and mixer Justin Cortelyou, it's just par for the course. "I've worked with Bob for nearly 10 years now, and we have worked on everything from Phish to Kristin Chenoweth to Alice Cooper to Hollywood Vampires to Mongolian rock bands to Pete Seeger. In fact, we had just finished an Alice Cooper record when we started the Bocelli record! For us it is all music. There is good music and good art in all different genres, it doesn't matter whether it is hip-hop or EDM or what. And Bob is very prolific and very good at blending genres. With Si, for example, this involved combining Andrea's voice with those of Dua Lipa and Ed Sheeran. Bob is great at merging things that may look strange on paper, and the end result does not sound odd. One reason for this is that he is very good at arranging, and many of the albums he's done, for example by Pink Floyd, and Kiss's Destroyer, have a touch of classical elements." The fact that changing genres is a non-issue for Ezrin is obvious when he talks about the way Si came into being. It all started in the beginning of 2017, when he was invited to produce one song on the album. "The song selection process had started two years before I got involved, and finishing the album itself took another year, because of everyone's insane schedules. Sugar Music [Andrea's label], Ross Cullum of Universal and Mauro Malavasi, Andrea's long-time producer and collaborator, had all participated in finding and proposing material. When they invited me, they had most of the songs chosen and asked if I would produce 'Fall On Me', which Ross brought to the project, along with a few other songs. We got on so well that the assignment grew to me producing almost the entire album, including some songs that I co-produced with Mauro and Pierpaolo. "The first thing I did was reach out to John Metcalfe, with whom I had worked on Peter Gabriel's orchestral album Scratch My Back , among other projects. I knew that John would have the perfect sensibility for this. Along with John, I also brought in my friend and collaborator on many projects, Thomas 'Tawgs' Salter, who added some programming and modern beat elements to some of the songs. John and I worked on robust demos of the songs using MIDI orchestra with a touch of live playing on top, for example with John playing violin. Sometimes the demos he created were so good that we had to work hard later on to outdo them! It was important to come to Andrea with something to sing to that inspired him, but we did not want to record the orchestra in advance in case something would have to change as a result of the vocal recordings. "We recorded Andrea's vocals at his home in Forte Dei Marmi on the West Coast of Italy. He has a recording setup with a small console, some great converters and an Italian-made clone of a [Telefunken ELA M] 251. I moved in to a hotel just down the road and walked to the house every morning and stayed through dinner. It was a house filled with love and music. It reminded me of our family home in Toronto as I was growing up. Everyone gathered together at the table each night and ate and laughed and sang together. "Andrea Bocelli's voice is one of the greatest instruments on earth — ever. It was thrilling to be on the other side of the mic from someone who had such power, presence and passion. Andrea was completely professional, and uniquely adept at creating exactly the right performance — or staying with it until he did. We pushed each other from time to time, but always with humour and love. There was never a cross word or angry moment. We worked together very closely, respectfully and productively along with his longtime engineer and confidant, Pierpaolo Guerrini, a talented musician, writer, producer and arranger in his own right. Pierpaolo drove the rig while I worked directly with Andrea on performance. We comped the vocals as we went. 2 weeks 3 hours ago.